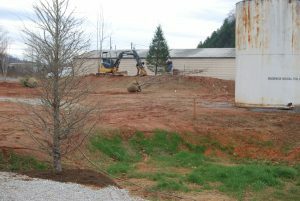 A former service station, this property is directly adjacent to Mainspring’s main office in Franklin, North Carolina. 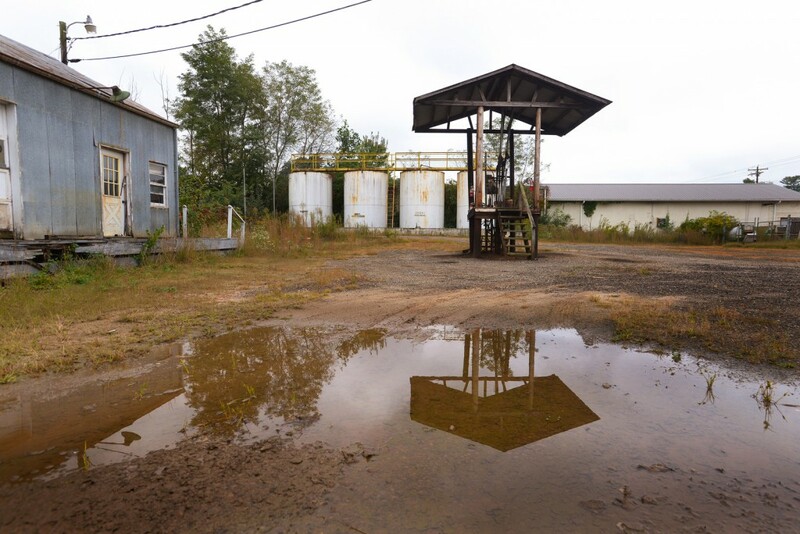 In 2014 Mainspring learned that the property, which includes 350 feet of frontage along the Little Tennessee River, was for sale, but was likely contaminated due to 40+ years of storing and distributing petroleum. Associate Director Ben Laseter coordinated an effort of multiple agencies to clean up the property, and community volunteers have helped deconstruct the buildings on the property. Eventually Mainspring plans to use the property as an outdoor learning and gathering space, and plans for it to feature river access to the Little Tennessee. Planting trees on the restored property. In 2017, the Board of Directors announced the area as the “Paul Carlson Woodland” in honor of Mainspring’s Founding Director.